Instagram Is Supposed to Showcase Individuality—so Why Is It Creating a Uniform? Instagram is a space where you can post anything you like. However, in order to get more likes, we are all doing the exact same things, posing in front of the same pink walls and eating the same photogenic eggs. Last month influencer Ellie of Slip Into Style took to her Stories to share her frustration that in order to have commercial success as a fashion blogger, you have to adopt a uniform and temper your personal style. If you look on the #OOTD (outfit of the day) hashtag on Instagram, the most popular nine squares always seem to feature identical images and outfits. The last time I looked, there were three pairs of white Gucci trainers, a close-up of a grey jumper and not one outfit that showcased out-of-the-ordinary personal style. 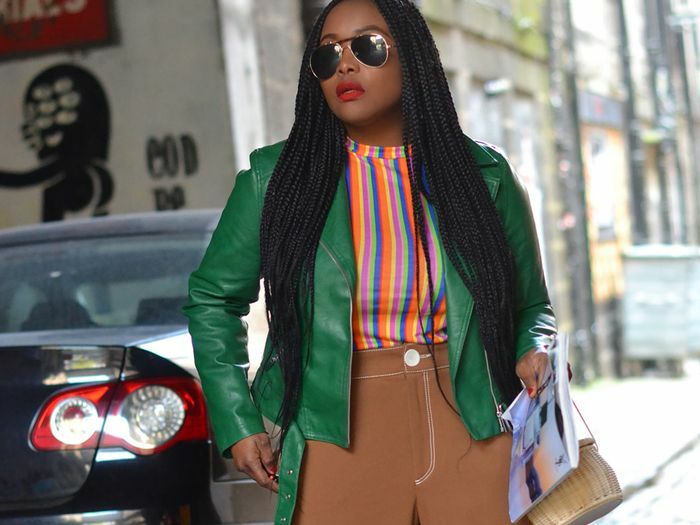 Detail shots of basics—whether that’s a checked blazer, an oversized jumper or a white T-shirt tucked into jeans—not only generate likes but also see the most conversions into sales. One influencer told me recently that on the shopping app LiketoKnow.it, users like to see (usually headless) close-ups on products because they can visualise themselves wearing the item and so are then more likely to buy it for themselves. And more people are going to be able to visualise themselves in a white T-shirt or a basic pair of jeans than anything else, earning the influencer the most money. If you’re turning your outfit posts into a business, then it’s not hard to see how personal style can quickly become muted for commercial success. Instagram fosters the rise of buzzy cult brands and products, whether that’s a Ganni banana T-shirt or a Wandler bag. It once was seen as a faux pas to wear the same thing as someone else, but now at fashion week, street style stars have no problem all carrying the exact same handbag and adopting a uniform. The Scandinavian set of influencers, such as Emili Sindlev and Jeanette Madsen, prove, however, that it is possible to all wear the same jumper and still stay true to your own personal style. “The newfound success of the Scandinavian It girls with their colorful, mixed-matched, sometimes man-repelling style are a testament to the fact that people do want to see things that break the mold sartorially speaking,” says Ellie. And they give inspiration for how you can wear the T-shirt you see all over Instagram in your own way. Of course you can’t talk about the rise of a fashion uniform without mentioning the street style circuit. Historically, street style was an authentic reflection of what people were wearing, but now it has turned into a performance with many dressing to be photographed and—just like with the like-generating grey jumpers and Gucci trainers—wearing the things that they know will be well received. “There is a pair of Céline boots that I’ve seen at least once every single day of the fashion month,” street style photographer Romina Introini of Romilux tells me. Personal style can be sidestepped in this arena, with women wearing “dad” trainers or a plastic Chanel bucket hat, not because it will slot into their wardrobe and be worn for the next decade but because it is bait for the crowds of cameras waiting outside the shows. “There are so many photographers working in street style who are only trained to look for certain labels or trends, and it’s easy to play into that,” says Fashionista.com deputy editor Tyler McCall. The power that Instagram has, however, unlike commissioned street style, is that you are in control of the images you want to see and who you follow. If you look past the most popular images all showing the same fashion uniform, you can find the people who are doing something a little different or have a style that resonates with your own, whether that involves grey jumpers and white T-shirts or not.